Narrative is a content creating and curating platform just like steemit which lets you earn NRVE tokens. It is currently in the alpha stage and is recruiting new members. 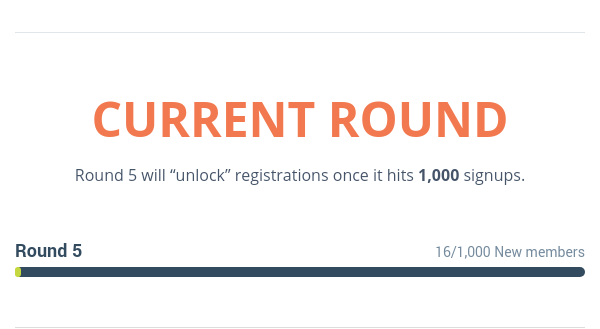 It is registering 1000 new users in every round and the round 5 is currently on. Remember if you had joined steemit in early stage you would have earned enough STEEM. So register now for Narrative so that you earn enough NRVE tokens to earn money by selling it in few years. Enter your email and verify your email. After the round has unlocked you'll get an email to register your account. Register now and earn free NRVE tokens. As much as I'm looking forward to some really fair social media blockchain project, I don't have the feeling, that this will be the one. Besides Chris Pirillo as an adivsor, I have never heard about one of the creators of this project. This is not necessarily a bad thing, but these people don't look like they would be able to kick off something revolutionary. Truely said. Thank you for joining. Lets see what they will bring in the beta version later this year.